Time is of the essence when it comes to academic publishing – as an author you want to publish your paper as fast as possible, and as a reviewer you want to avoid holding up the process. Editors set deadlines to give authors the quickest possible publication times, but one of their most common complaints is that reviewers don’t stick to those deadlines. In Part 1 we highlighted the steps you should take when you receive a review request. In Part 3 (coming soon), we will focus on the anatomy of a good review report. If you decide that you’re unable to meet the editor’s deadline, then decline as soon as possible so they can approach an alternative reviewer and be sure to recommend someone suitable. If you can review by the deadline, be prepared with any specific guidelines, and set aside time to read the paper properly. “When you read the paper, you have to master the domain before you can provide a good review,” explains Professor Janssen. Summarizing the paper at the start of your review is one way to show your understanding to the editor, and also to the author – if your summary suggests that you have misinterpreted their research in some way, the author can go back and make sure their manuscript is clear. After reading and summarizing the research, you will be able to comment on the manuscript in general. Does the research fit with the journal’s scope? Is it within the journal’s remit? For example, if the journal has a policy focus, does the research have a policy angle? This is where some journal-specific guidance will come in handy: Journals have guidelines available online for authors, which can also be helpful for you as a reviewer. 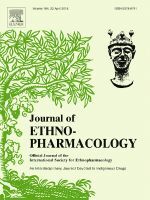 Some have even more detailed instructions, for example, the Journal of Ethnopharmacology (JEP) has a ‘Rules of 5’ document that describes top-level considerations for research to be publishable. “It makes reviewing easier – if a paper isn’t for the journal, you can just say it’s out of scope and refer the author to the guidelines,” says JEP Editor-in-Chief, Professor Dr. Rob Verpoorte. The next step is to look at the research itself and determine its value for the journal and the people who read the journal. Does it have enough of an impact? Is the research relevant, and does it add sufficiently to our collective knowledge? This is where your interpretation may differ to that of the authors, so it’s important to look at the validity of the results. What makes a good reviewer? 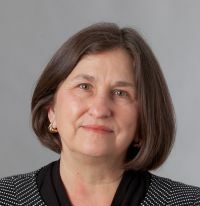 Cynthia Baldwin is a Professor at the University of Massachusetts Amherst and has been an investigator in that area of immunology for over 30 years, receiving her PhD from Cornell University. Her research has focused on cellular responses to bacterial and protozoan pathogens of humans and livestock. 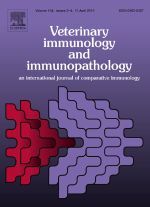 Cynthia is a long-serving Editor-in-Chief of Veterinary Immunology and Immunopathology, a journal for comparative immunology. She also serves as a Jefferson Science Fellow at the US Department of State in Washington, DC. She is currently the Principal Investigator on federally-funded grants including one from the National Institute of Food and Agriculture (NIFA) and the National Institutes of Health that has the goal of using large animal models of disease for the benefit of humans and livestock. 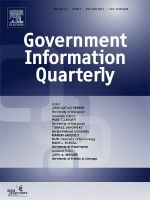 Professor Marijn Janssen is full Professor in ICT & Governance and head of the Information and Communication Technology section of the Technology, Policy and Management Faculty of Delft University of Technology. His research interests are in the field of orchestration, (shared) services, open data and infrastructures within constellations of public and private organizations. He serves on several editorial boards, is Co-Editor-in-Chief of Government Information Quarterly and is involved in the organization of a number of conferences. He has published over 300 refereed publications. 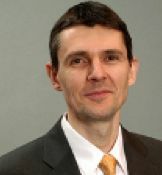 Professor Urban Jermann is the Safra Professor of International Finance and Capital Markets at the Wharton School of the University of Pennsylvania. His research is on asset prices, corporate finance, and macroeconomic fluctuations. He teaches classes on international finance for undergraduate and graduate students. Professor Jermann holds a PhD from the Graduate Institute of International Studiesin Geneva Switzerland. He is a Research Associate at the National Bureau of Economic Research, and has been a Senior Economist at the Federal Reserve Bank of Minneapolis. 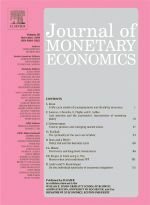 Before becoming an editor of the Journal of Monetary Economics, he was associate editor for several economics journals. Professor Dr. 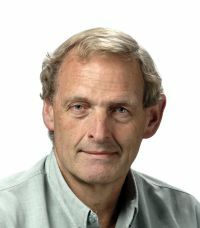 Rob Verpoorte is Professor Emeritus at Leiden University. He holds a Pharmacists degree and a PhD from Leiden University, and was lecturer there from 1976-1987. Since then he has been Professor and Head of the Department of Pharmacognosy. He was a guest professor in London (UK), Uppsala (Sweden), Amiens (France) and Reims (France). From 1992-1998 he was Vice-Chairman and Chairman of the committee of the Phytochemical Society of Europe (PSE). He has authored 725+ scientific papers, four books and six patent applications, and is Editor-in-Chief of Journal of Ethnopharmacology. He supervised 65 PhD-theses, and 150+ MSc theses. He received an Honorary Doctorate from the University of Amiens (Université de Picardie - Jules Verne), France (2004) and Uppsala University, Sweden (2012). In 2007 he received the PSE Medal.